what adventures do you keep coming back to, time and time again? Just yesterday in a long car ride I was reliving adventures and amazed at all of the things I’ve done and places I’ve seen. It made me happy. My first mountain hike, which was not so many years ago. Thank you and yes, it was special to me. There are no mountains in Denmark, so not so many possibilities there. It is now 6 years ago, I hiked this mountain and I remember it so clearly. Trip to Greece with Roy before we were married. Twenty-six years ago, and we still talk about it even though we’ve lived in Europe twice since then. Could it have been new love that made it so unforgettable?? Hmmmmm. Karen, Ellie B and I have repeatedly appreciated our Cape Cod adventures, Beth. Thanks for bringing Pat Conroy’s wisdom back, too. His work is another Adventureland to which I’ve gone frequently. RIP. Having lived in China for nine years, I now seem incapable of writing a novel about contemporary life that doesn’t have a Chinese character who comes to America to study. Walking around Paris and feeling as if I belonged there. My daughter is doing some reading homework, and she is listening to some beautiful music from Lord of the Rings … a female vocalist who draws you into the travels. 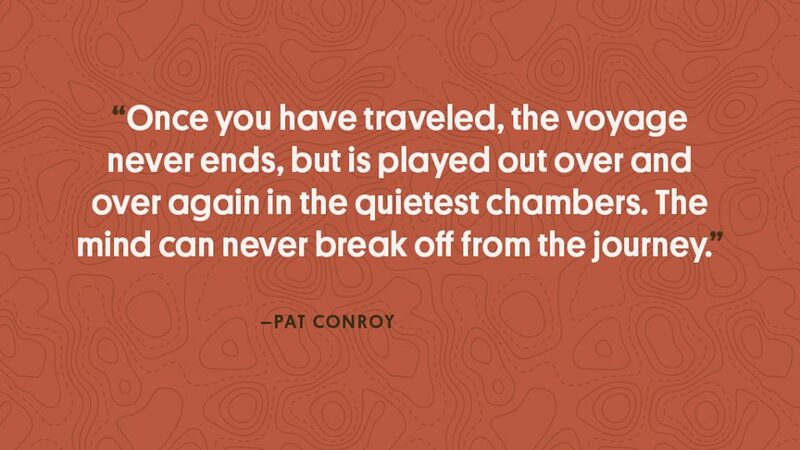 Ironic, most definitely, as I read your post, ” … the mind can never break off from the journey …” and, we do keep coming back ….